Though the legendary blues musician Robert Johnson was only known to have recorded twice in his brief lifetime, in 1936 and 1937 in Texas, his output in those two brief days so long ago was both endlessly influential and surprisingly prolific. 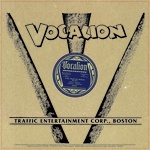 Beyond the classic sides that were released on 78 rpm at the time, there were numerous unreleased outtakes and alternate recordings that went uncovered for decades after their recording. Collected here are 12 alternate takes including essentials like "Crossroad Blues", "Drunken Hearted Man", "Ramblin' On My Mind", and more. Essential and rare Robert Johnson sides back in print on Wax Love. 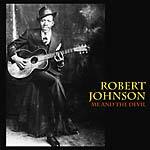 Wax Love present Me And The Devil, a collection of some of the finest moments of the only two known recording sessions by the King of Delta Blues, Robert Johnson, made in Dallas and San Antonio in 1936 and 1937. A man whose poorly documented life and death at 27 have given rise to much legend in the last 75+ years, Johnson had little or none public recognition for his work in his lifetime. Rumored to have sold his soul at the crossroads to achieve success, Robert Johnson lived his whole life playing at street corners and Saturday night dances, writing the soundtrack for half a century of rock culture to come. Featuring all-time classics such as "Crossroad Blues", "Love In Vain", and "Phonograph Blues", this is mandatory for all early folk and blues aficionados. 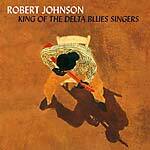 Rumble Records present a reissue of King Of The Delta Blues Singers, a collection of Robert Johnson recordings released on Columbia in 1961. The years 1936-1937 were the entirety of Robert Johnson's recording career, when he was only 26 years old. He died a year later, poisoned by a jealous husband. Eighty years later he is known around the world as the author of such standards as "Love In Vain" and "Sweet Home Chicago", and is considered a myth, whose whole repertoire is simply legendary. The influence of Robert Johnson's music still shows on contemporary works, and many of his songs have been since covered -- sometimes stolen -- by other great artists; Eric Clapton, Led Zeppelin, and The Rolling Stones, among others. This brilliant collection of his recordings is as good an intro to the blues as anything else in the history of the genre. A collection of the finest moments of the only two known recording sessions by the King of Delta Blues, Robert Johnson. A man whose poorly documented life and death at 27 have given rise to much legend in the last 30 years, Johnson had little or none public recognition for his work in his lifetime. Rumored to have sold his soul at the crossroads to achieve success, Robert Johnson lived his whole life playing at street corners and Saturday night dances, writing the soundtrack for half a century of rock culture to come. Featuring all-time classics such as "I Believe I'll Dust My Broom" or "Kind Hearted Woman Blues", this is mandatory for all early folk and blues aficionados. 180 gram reissue of this 1970 collection. "....a collection of 16 songs by the greatest downhome blues singer of all time." Tracks: "Kind Hearted Woman Blues," "I Believe I'll Dust My Broom," "Sweet Home Chicago," "Rambling On My Mind," "Phonograph Blues," "They're Red Hot," "Dead Shrimp Blues," "Preachin' Blues," "I'm A Steady Rollin' Man," "From Four Till Late," "Little Queen Of Spades," "Malted Milk," "Drunken Hearted Man," "Stop Breakin' Down Blues," "Honeymoon Blues" and "Love In Vain." 2017 repress. "Despite his untimely death, the man managed to squeeze in a lot in his 27 short years on this earth, enough to earn him the title of 'King of the Delta Blues'. Pretty impressive, given the competition! Johnson's style has influenced everyone from Muddy Waters to Eric Clapton and he is widely considered to be one of the greatest guitar players to have ever lived! A widely reported legend of Johnson selling his soul to the Devil in order to gain prowess on the guitar seems likely given the talent the man possessed. This triple LP box set chronicles his short but legendary career, featuring everything Johnson ever recorded, including the many songs that made him famous and have long since become blues standards. Absolutely essential in any collection!" Includes poster and 8-page, large-format book with lyrics.